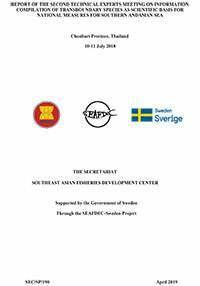 At the kind invitation of the Government of the Republic of Indonesia, the Fifty-first Meeting of the SEAFDEC Council was convened in Surabaya, East Java, Indonesia, from 18 to 22 March 2019, hosted by the Ministry of Marine Affairs and Fisheries (MMAF) of Indonesia. 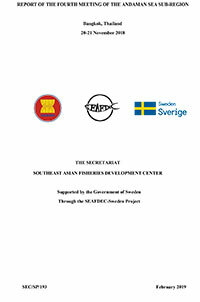 In attendance at the Meeting were the Council Directors and delegations from the SEAFDEC Member Countries, namely: Brunei Darussalam, Cambodia, Indonesia, Japan, Lao PDR, Malaysia, Myanmar, Philippines, Singapore, Thailand, and Viet Nam, as well as officials of the SEAFDEC Secretariat and Departments, and collaborating organizations. 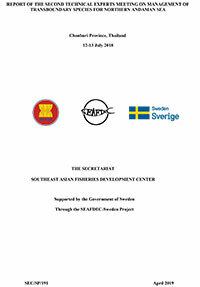 The Inaugural Ceremony of the Fifty-first Meeting of the SEAFDEC Council was held on 18 March and presided over by the Minister of Marine Affairs and Fisheries (MMAF) of Indonesia, Ms. Susi Pudjiastuti who was represented by the Vice Governor of East Java Province, Indonesia, Dr. Emil Elestianto Dardak. The Meeting unanimously elected the Alternate Council Director for Indonesia, Prof. Sjarief Widjaja on behalf Mr. Nilanto Perbowo as the Chairperson of the SEAFDEC Council for the Year 2019-2020, succeeding, H.E. 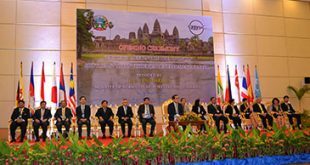 Eng Cheasan, SEAFDEC Council Director for Cambodia who served as the Chairperson of the SEAFDEC Council for the year 2018-2019. 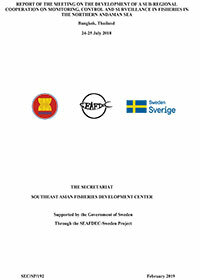 The Council also approved the “SEAFDEC Gender Strategy” for implementation by the SEAFDEC Secretariat and Departments. 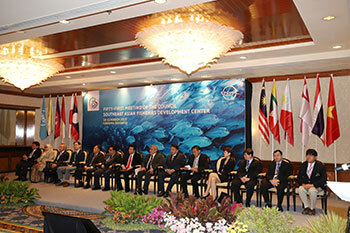 The Council recognized the close cooperation between SEAFDEC and international/regional organizations/agencies in undertaking activities that address the priorities of Member Countries towards the sustainable development of fisheries and aquaculture in Southeast Asia. At the closing of the Fifty-first Meeting of the SEAFDEC Council, the Council extended the appreciation to the Government of the Republic of Indonesia for the excellent hosting of the SEAFDEC Council Meeting and the warm hospitality accorded to the Council throughout the event. 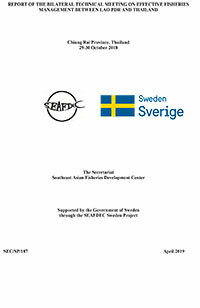 The Council then announced that the Fifty-second Meeting of the SEAFDEC Council in 2020 would be hosted by the Government of Japan.